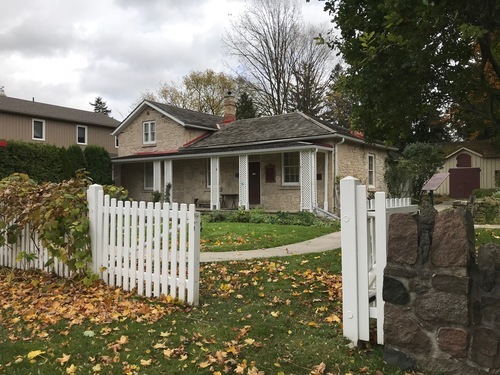 This limestone cottage in Guelph (108 Water Street) was built in 1858. From 1870 to 1873 the house was owned by the McCrae family. 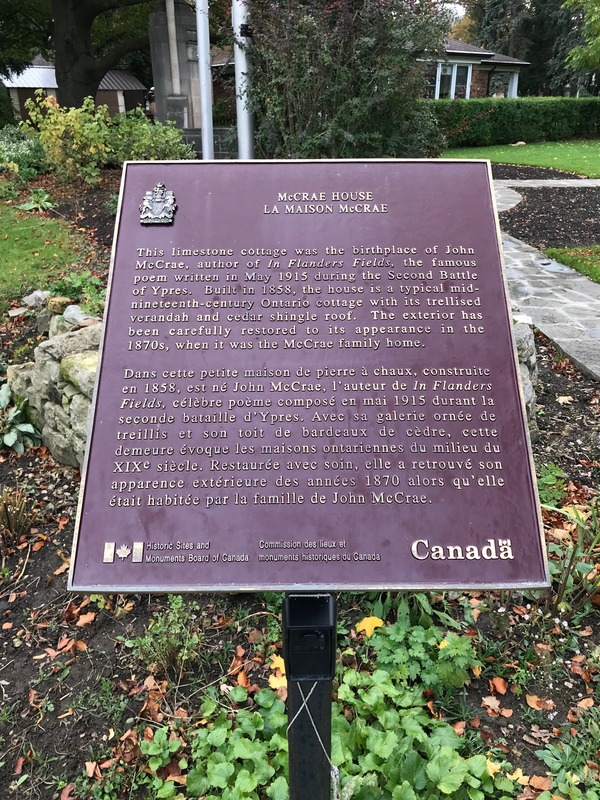 Both Tom (1870-1935) and John McCrae (1872-1918) were born in this house. 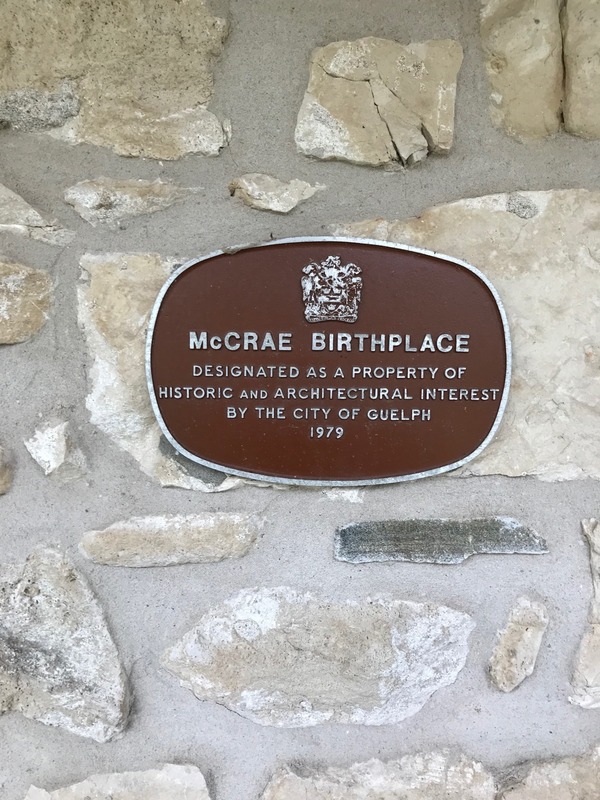 In 1966, a group of Guelph citizens purchased the building with the intention of preserving it as a museum. 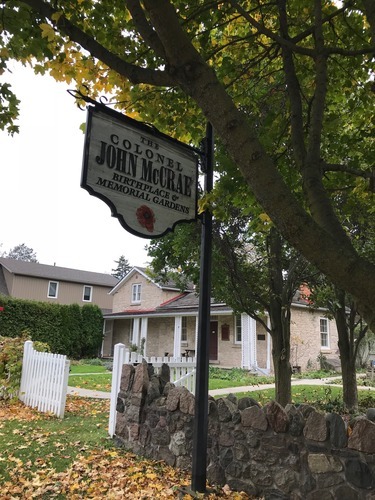 This group formed the Lt. Col. John McCrae Birthplace Society and began raising money for its restoration. 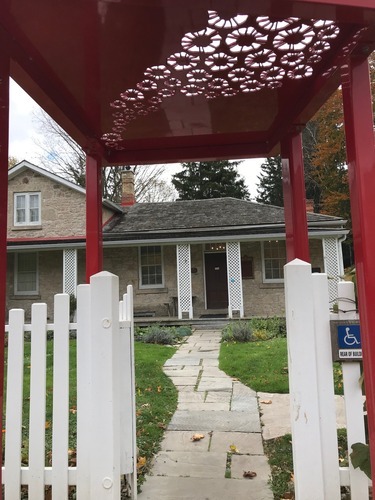 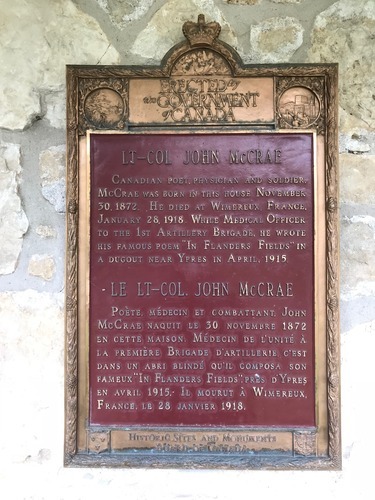 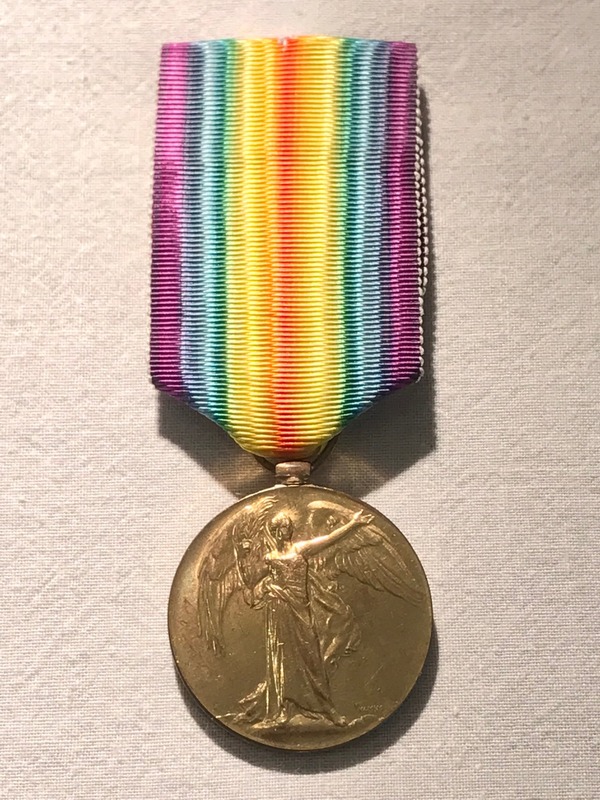 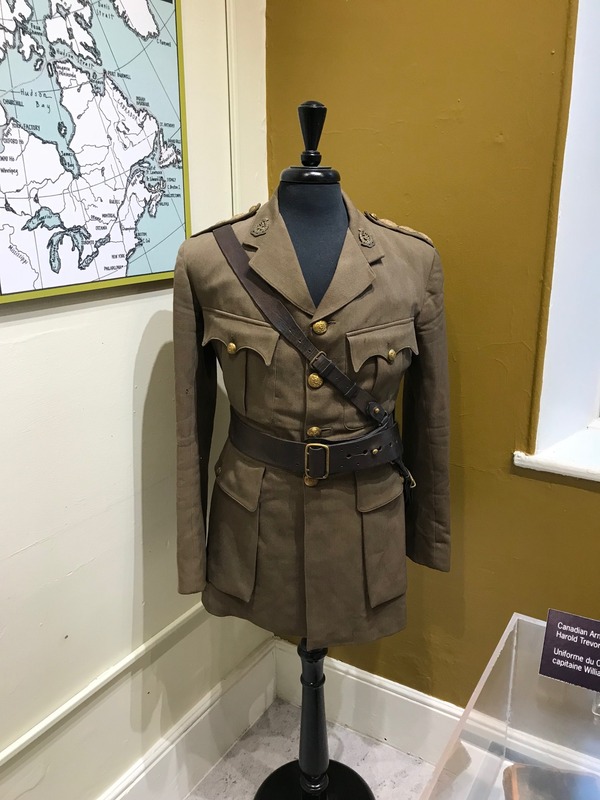 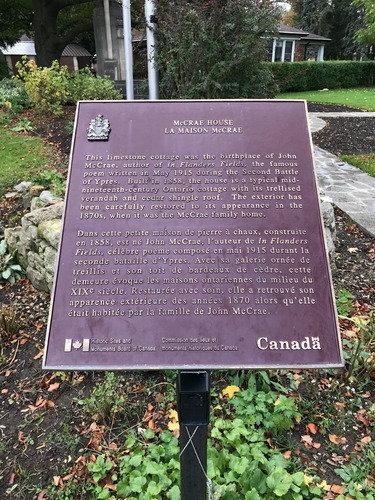 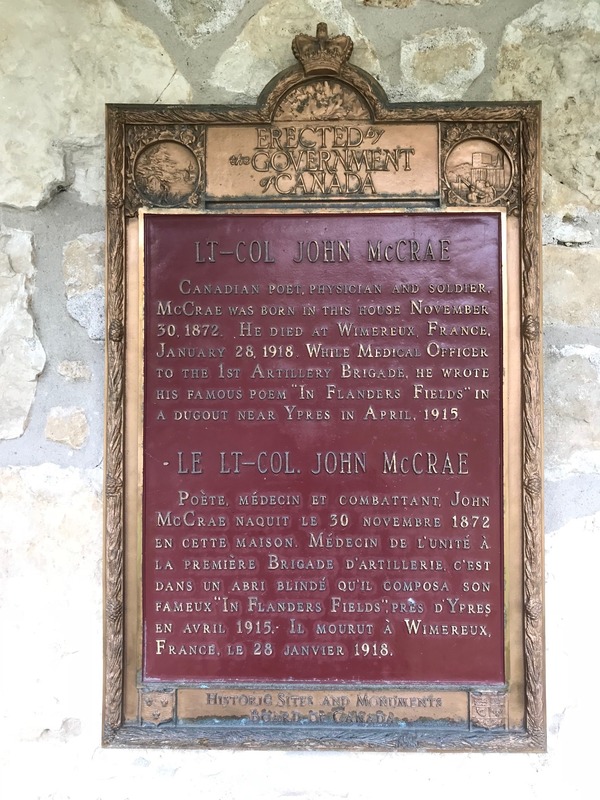 In the same year, the federal government through the Historic Sites and Monuments Board designated John McCrae a person of national significance, and designated the house a place of national significance. 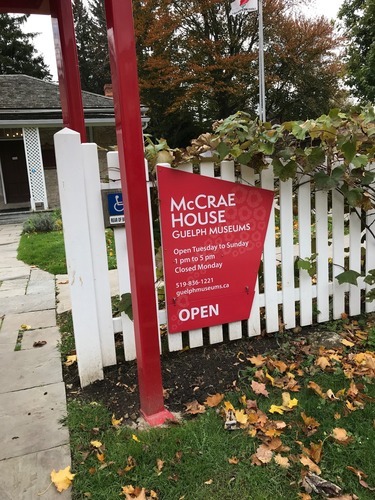 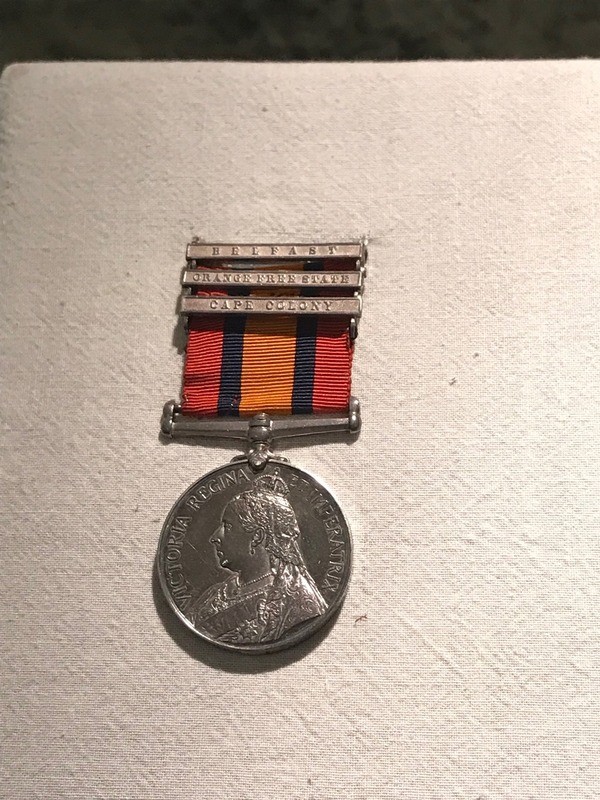 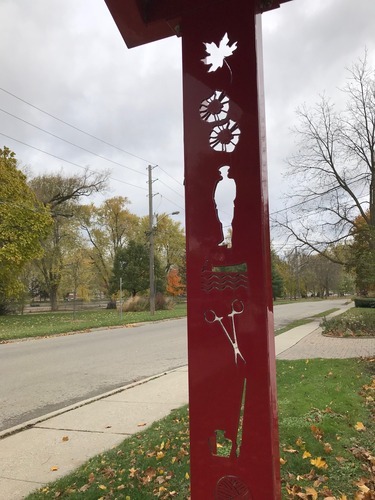 In 1983, the operation of the museum was transferred to the City of Guelph, and along with the Guelph Civic Museum was merged under the name Guelph Museums1. 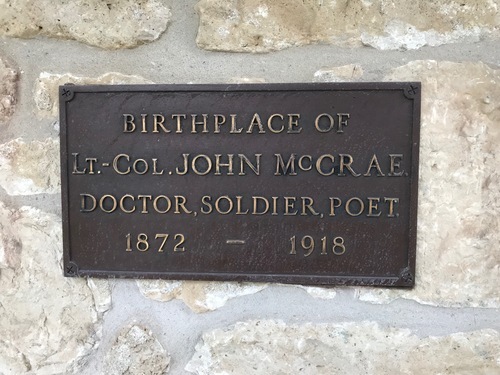 Inside the house-museum some belongings of John McCrae can be seen. 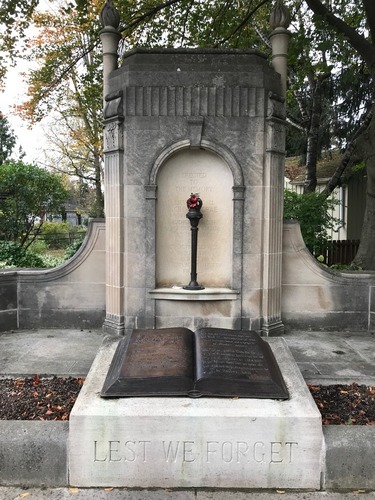 A memorial garden can be visited nex to the house. 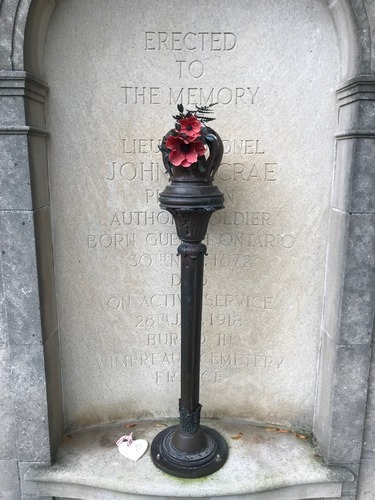 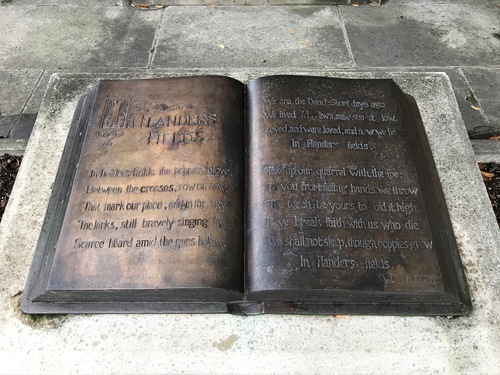 It contains a monument dedicated to John McCrae's most famous poem "In Flanders Fields". 1. 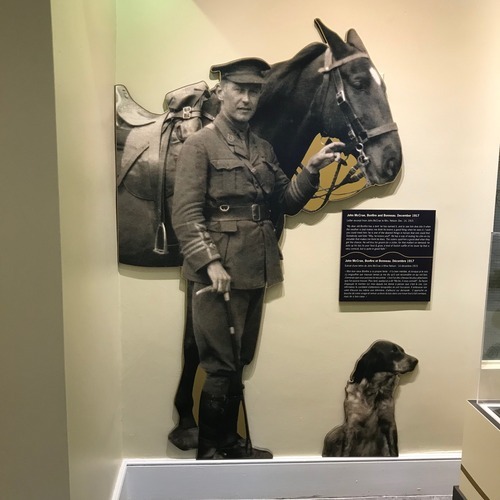 Retrieved and adapted from the house-museum's official website.